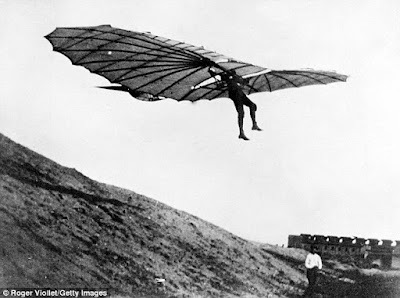 Before the Wright Brothers flew, a German pilot had managed to slide to fly for the first time. That man was Otto Lilienthal is considered the 'first man to fly,' after conducting a trial with a homemade glider 125 years ago. As reported by Daily Mail, Friday, May 13, 2016, the researchers at the Germany Aerospace Center (Deutschen Zentrums für Luft- und Raumfahrt/DLR) has made a replica of one of the Lilienthal historic flying machine to learn how this plane could be flown, and also to gain insight into the fatal accident that befell this glider. 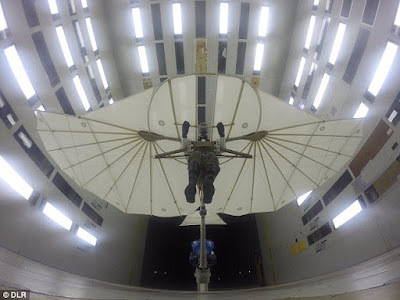 Lilienthal has pioneered early flight effort, and passion that eventually led to his death; on August 9, 1869, when the glider stalled and he fell from a height of about 50 feet, broke his neck. And he died at a hospital in Berlin the next day.